One of the most timeless symbolic gestures of Christianity, anointing has been performed to centuries to mark out someone's choice to follow God in everything. These anointing oils in different scents are a powerful gesture that links back to Biblical priesthood. Anointing Oil Assorted Pack of 6 was published by Swanson Christian Products in February 2016 and is our 1325th best seller. 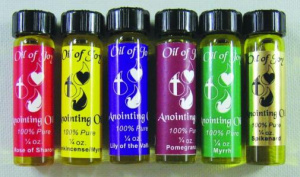 The ISBN for Anointing Oil Assorted Pack of 6 is 788200800193. 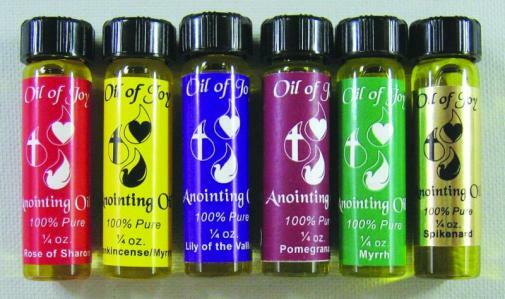 Be the first to review Anointing Oil Assorted Pack of 6! Got a question? No problem! Just click here to ask us about Anointing Oil Assorted Pack of 6.